Sculpture, Painting and Drawing are all a part of my days. How do I keep myself charged to keep creating? Sculpture is the most challenging in terms of execution, and I can get stuck in this process. To keep the gears moving, to deepen my visual acuity, and to keep my creative balance moving forward, I draw and I paint. For me this rotation of artistic activity keeps me immersed in the passion of who I am, and what I do. Each process is as intense as the other in terms of my involvement. Each discipline acts as a creative springboard for the others. I love, value, and respect them all for their contribution to the whole practice. 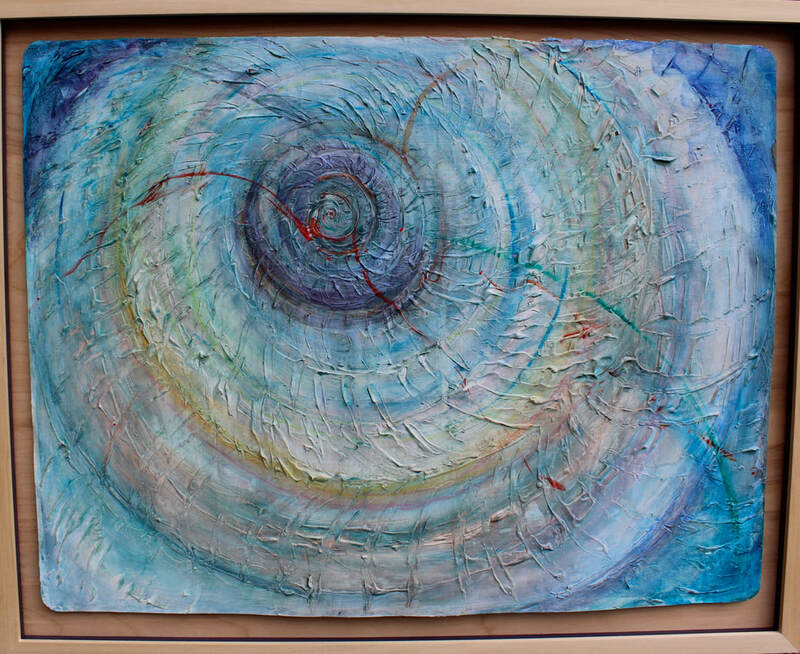 Vortex I: Homage to Stephen Hawking, 25" x 29"
​Thank you for taking the time to enter into the wisdom of work for which I am a conduit.